My daughter who lives in London told me that 20 years has been… passed since our family started to live in U.K. 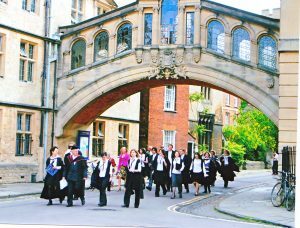 The photos are the graduation day I took my D.Phil in Oxford in 2006. 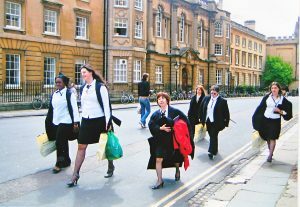 We walk from our college to Sheldonian Theatre where the graduation ceremony will be held. 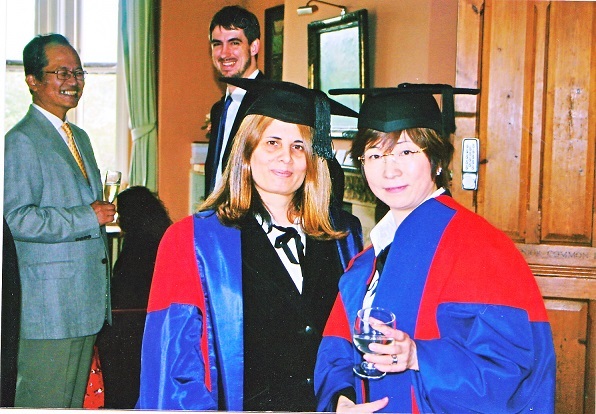 Until we arrive to the theatre, we wear the black gown ,and during the ceremony(only the ceremony), we wear coloful gown(e.g D.Phi weare the red and blue) and after the ceremony we are allowed to put the cap on the head. Although I can not forecast what will happen in U.K due to the Brexit, I will not forget the wonderful memories and kindness extended to our family.